My family all raved about how good it was. They even wanted to lick the bowls. LOL! Preheat oven to 425°F and adjust rack to middle position. In a large bowl, toss together red onion and coconut oil and season generously with salt and pepper (1/8 teaspoon if your using cayenne). 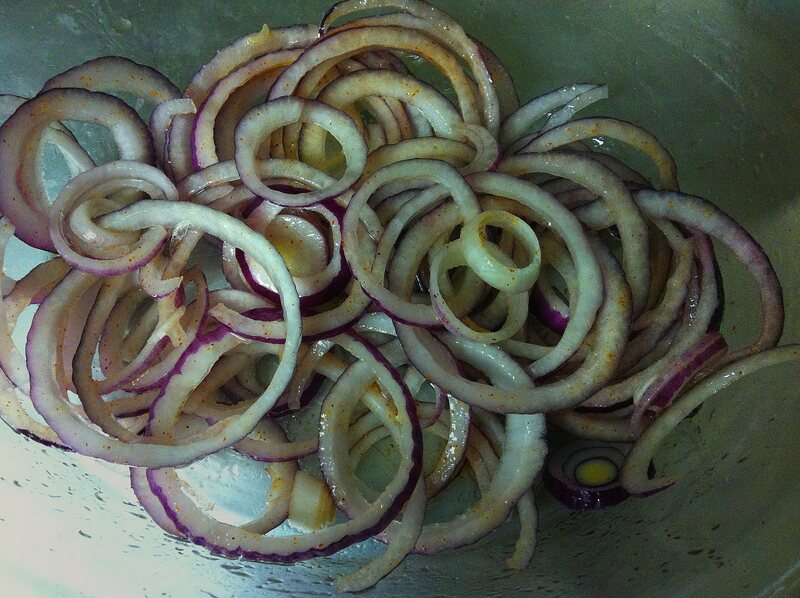 Spread onions out on a large baking sheet and roast for 20 minutes. Stir onions and put back in oven for another 15 minutes or until onions loose most of their moisture and begin to brown. Remove from oven and set aside. Fill a large pot with water and bring to a boil. Add the green beans to the water and boil for 6 minutes. 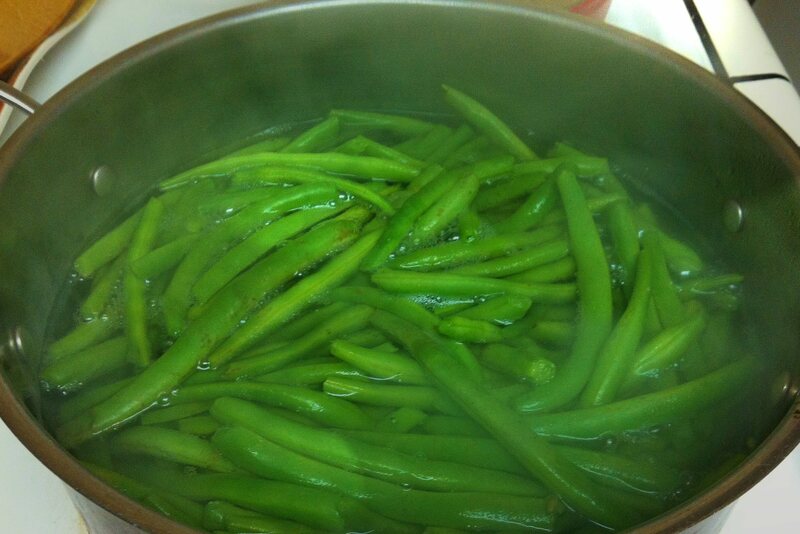 Drain green beans and rinse with cold water to stop the cooking process. Set aside. Melt butter over medium heat in a large skillet. 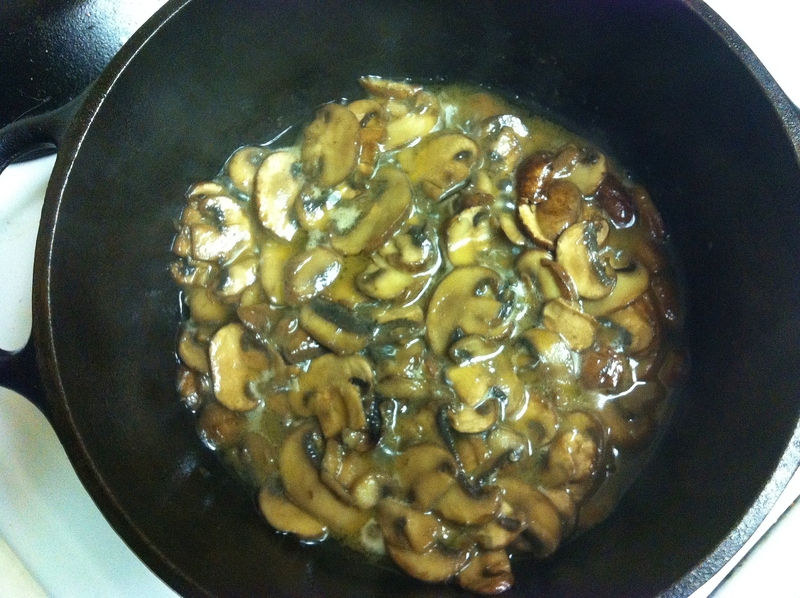 When foaming subsides add the mushrooms and season generously with salt and pepper. Saute until mushrooms have released their moisture and the edges begin to turn golden brown, about 10 minutes. Add the flour and stir constantly until incorporated, about 1 minute. Gradually add the chicken stock and then the cream, whisking constantly to avoid lumping. Reduce heat and simmer until sauce thickens, 5-6 minutes.Toss together mushroom mixture and green beans and then pour into a 13×9 baking dish. Top with red onions and bake until bubbling, about 20-25 minutes. 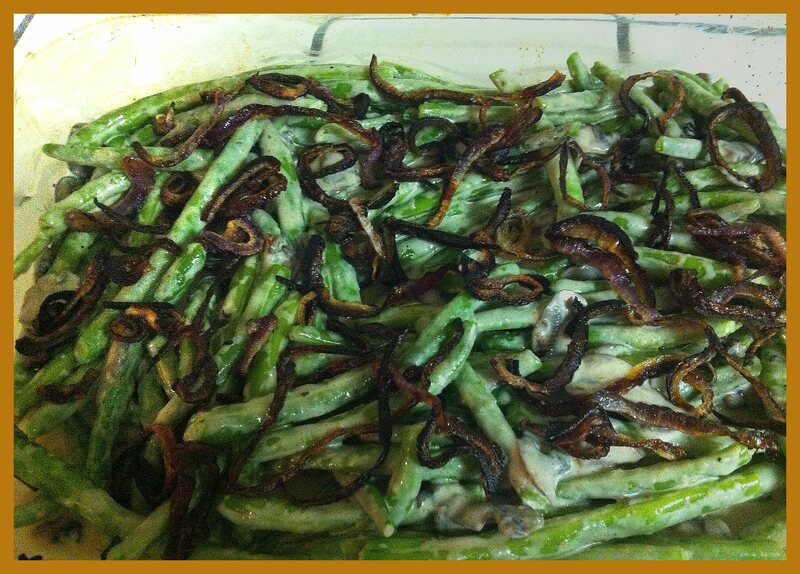 Adapted from Deliciously Organic (https://deliciouslyorganic.net/green-bean-casserole-and-give-away/). Posted by simplycookingrealfood on November 10, 2013 in Side Dish.